The example below represents a pattern of development that includes segregated land uses and automobile-dependent mobility. The amount of land consumed in this example does not represent the maximum development potential for the sites. 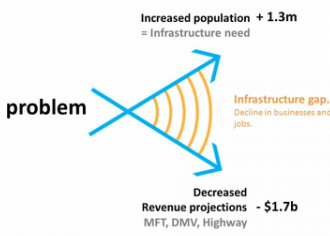 The example below represents a pattern of development that includes a mix of land uses and access for pedestrians, bicyclists, automobiles, transit; disabled, young and elderly. Development maximizes land used, infrastructure and community facilities. The Plan is divided into two parts. The first section reviews the project genesis, opportunities, constraints, trends and desired site features. These resulted in the creation of the project schematic plan and recommendations. The second section of the plan includes design guidelines. The project appendix materials are available in the print document and on this website. Durham "East End Connector" will create non-stop access from Butner to Research Triangle Park, Raleigh-Durham Airport, Raleigh and points South and East. 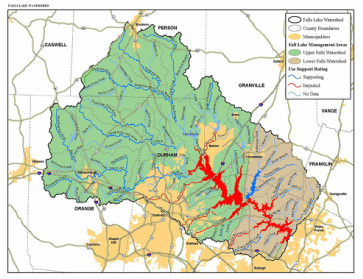 The Falls Lake watershed means we'll have to think carefully about where development occurs and about how site's are designed and developed. 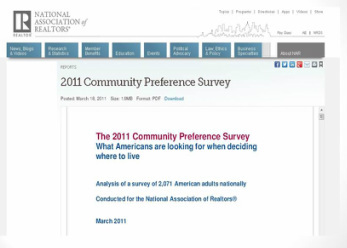 Consumer preferences about where people want to live, work, shop and play are changing.